I had so much fun reading the Love Inspired Suspense books last month, when FlyBy Promotions said I had the opportunity to read and review SIX NEW Love Inspired books, I gladly decided to take them up on the offer. I’m going to talk a little about my experience with a couple of them, and then I’m going to give a brief overview of each one because YOU WILL HAVE THE CHANCE TO WIN ALL SIX OF THESE FOR YOURSELF! This is a tremendous gift for any sweet romance fan, and would be just perfect for a Mother’s Day present. The two I’ve read so far are THE RANCHER TAKES A BRIDE by Brenda Minton and BACHELOR TO THE RESCUE by Lorraine Beatty. I enjoyed both of them immensely, except I think I connected a little better to the characters in THE RANCHER TAKES A BRIDE, right from the start. Still, I thought both stories were written very well. The characters were likable (except for Oregon’s – MC in RANCHER – dislike of cats). 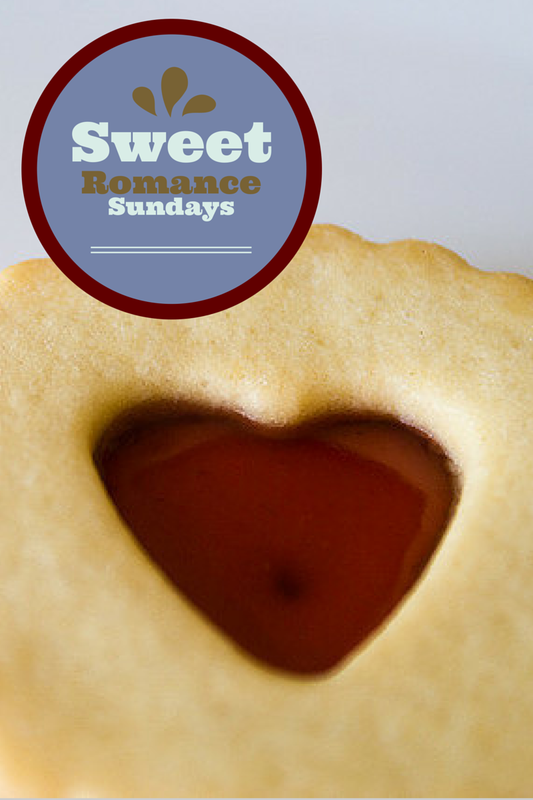 And the romances were sweet and believable. I have every confidence that the other books are just as good. Love Inspired® books offer wholesome, faith-based entertainment for women that nourishes the soul as it affirms the values of devotion, hope and love. Books are available online and in-store. Love Inspired readers believe hearts can heal. Love Inspired stories show that faith, forgiveness and hope have the power to lift spirits and change lives – always. In THE RANCHER TAKES A BRIDE, Duke Martin, former Army medic is stunned when old love Oregon Jeffries tells him he is the father of her child. Given his troubled past, the hardworking rancher and diner owner understands why Oregon kept his daughter a secret for twelve years. But now Duke desperately wants to make up for lost time. As he sets out to be a true father to Lilly, he soon realizes his feelings for Oregon are growing stronger. When Oregon’s health falters, he’s ready to care for her and prove that he’s worthy of her love. Could this be Duke’s second chance with the woman he never should have let get away? In THE BACHELOR’S BABY, Jake West’s troubled cousin leaves him with a most unusual parting gift – her newborn baby girl! And now the small-town contractor is forced to seek help from the very woman he resents – the new big-city pediatrician who practically stole his uncle’s practice, Violet Crenshaw. Violet knows she shouldn’t be consorting with the enemy. But she can’t resist the adorable baby and her handsome new caretaker. Violet traded her chance at motherhood for her career years ago. But raising a family with Jake could be everything she’s ever wanted. In THE SINGLE DAD FINDS A WIFE, Doctor Spring Darling has everything she needs. A wonderful family and a busy job helping the children of Cedar Springs, North Carolina. She’s given up on adding love to that mix. Until the moment David Camden and his adorable son appear in her exam room. Spring assumes David is another down-on-his-luck single parent at the free clinic – but looks can be deceiving. Because David has a job – he’s the architect proposing a new development in the middle of Spring’s land! When the truth is revealed, can Spring find a way to keep both her home and the blessing of new love? In WINNING THE TEACHER’S HEART, single mom Becca Norton is surprised to discover her high school crush Jared Donnelly is back in town. The motocross champion hasn’t been home in years, but the former bad boy is as gorgeous as she remembers. And his kindness toward her kids melts her heart. But when she learns his true purpose in town is to build a motocross school on land near her home, she has to put on the brakes. Her children’s welfare is her priority, and her former in-laws have made it clear they don’t approve of Jared or his plans. Soon Becca may have to choose between her heart…and her home. In BACHELOR TO THE RESCUE, young widow Lainie Hollings will do anything to protect her daughters – even if it means accepting help from Shaw McKinney. Though she blames Shaw for her husband’s death, he’s the only one she can turn to when a robbery forces her to take shelter in his home. Soon she’s surprised by the handsome contractor. He’s kind, charming, and determined to protect her and her girls. Being with Lainie makes Shaw want to give up his bachelor life and become a family man. But he’ll need to win over the pretty librarian and prove to her he’s the right man for her future. In A FIREFIGHTER’S PROMISE, when the baby he rescued seven years ago returns – with his widowed adoptive mom – Deputy Fire Chief Matt Bailey can’t turn them away. Desperate to escape the reminders of his failure in the line of duty, Matt is close to leaving town. But one look at Rachel Carter and her son, Christopher, has him second-guessing his plans. Rachel is a mom in need of a hero for her son. But as much as she wants the two to bond, she’s determined to keep her distance from Matt. After losing her husband on the job, she promised never to love another fireman. Yet somehow she finds herself drawn to the one man she should avoid. Click here to buy all these amazing books right now! 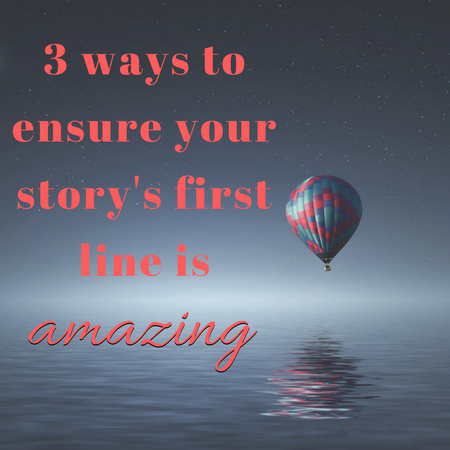 I’ve got a great prize this week for one lucky commenter on this blog post. Just leave some sort of message here before 11:59 PM on May 3, 2015, and you’ll be entered to win a paperback copy of ALL SIX OF THESE BOOKS. 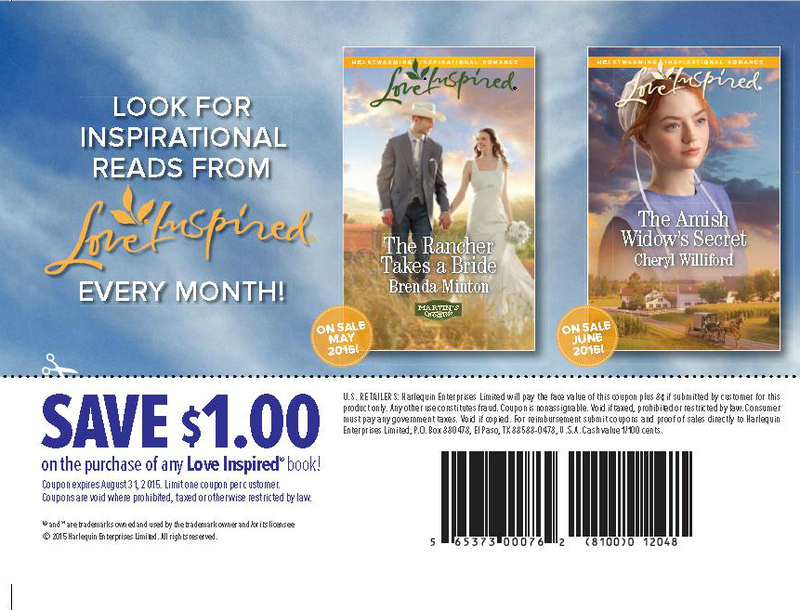 But you all can enjoy this $1 OFF COUPON for ANY Love Inspired book. Just download it and print it out. Or, if you prefer, here’s the printable PDF version. I really enjoy reading the Love Inspired books! Thanks for a great giveaway!